Visit the official GAT website and register online. Fill in the required identity, qualification and contact details. Upload a recent passport size photograph and signature of size 50KB in JPG format. Download and print the GAT application form. On November 10th, 2018 GITAM released the GAT 2019 Application Form. The desired applicant can register his/ her name either through the online or offline mode. Applicants who have filled the application form successfully and submitted it on or before the last date will be able to download their admit card. Admit card can be downloaded from the official website. 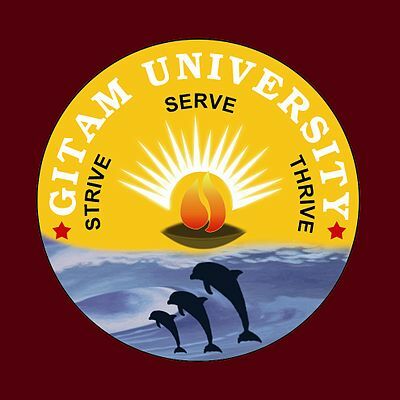 More details about the admit card can be known from GITAM GAT 2019 Admit Card. Mode: Both online and offline mode of application form submission for GITAM GAT 2019 can be done. Date: The Application form for GITAM GAT 2019 will commence from 12th November 2018 and the last date to submit the application form is 30th March 2019. Eligibility: Candidates must check if they satisfy the eligibility criteria laid down by the university. Online payment: Payment for GITAM GAT 2019 can be made online via net banking /credit card/debit card. Offline payment: Demand Drafts can be sent to the address mentioned, and it can be drawn from the nationalized bank like Indian Bank, Union Bank of India or Karur Vyasa Bank. The candidates should keep the following documents ready while applying for the GITAM GAT 2019. The candidate has to produce the same at the time of the counselling. If payment mode is online, Credit/debit/net banking details are necessary. If the payment is made in the offline method, Demand Draft number should be entered and it must be sent along the application form. Note: The recent photograph has to be submitted. The photo should not be older than 3 months and it must be in jpg image format. Application fee can be paid in both the online and offline method. In the case of the online method, it is advisable to take a print out of the payment slip for proof of acknowledgment. If the payment is made in offline mode, the photocopy of the Demand Draft can be taken.